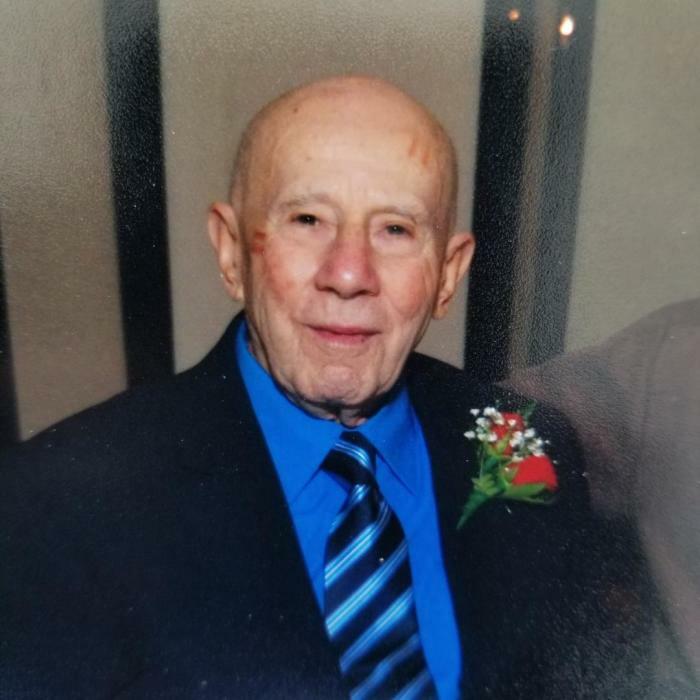 Michael (Mike) A. Paraninfo, 97, of Squirrel Hill Road, Greene, entered into eternal rest with the Lord on Monday, January 21, 2019. He was the beloved son of the late Frances and Angelo Paraninfo; loving husband of the late Marion Paraninfo. He is the cherished father of Gail and Paul Paraninfo and the late Rene Paraninfo. Dearest brother of the late Jack and Dot Paraninfo, Anna Paraninfo, Marie and Sam Cutolo, Sal and Frances Paraninfo, Marge and Harry Menziuso, Tony and Ruth Paraninfo, Jen and Vernon Miller, Connie and Ralph Pellicio and Paul and Kathleen Paraninfo. Mike was also survived by many nieces, nephews and friends including his adored friend, Phyllis Christian. Mike served his country during WWII in the Pacific Theatre and received many medals of distinction. Friends of the family may call Friday from 1:00 to 3:00pm and from 6:00 to 8:00pm at Root Funeral Home 23 North Chenango Street, Greene, New York 13778. Funeral services and burial will be on Long Island. Condolences may be sent to the family at www.rootfh.com. Memorial contributions may be made to Alzheimer’s Association 401 Hayes Avenue, Endicott NY 13760.